According to a 2016 survey conducted by the Royal Society for Public Health, quitting smoking is by far the most difficult New Year’s resolution to keep. 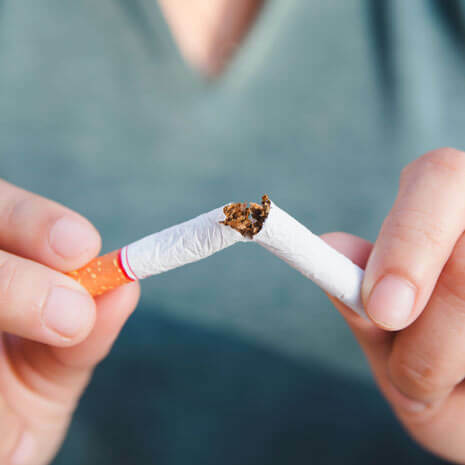 If you make a resolution to quit smoking via traditional means at the end of 2018, there is an 87 percent chance that you will be smoking again by the end of 2019. Those aren’t very good odds. If you are a smoker, you already know that quitting is the best thing that you can do to improve your day-to-day life and your long-term health outlook. On average, a non-smoker lives about 10 years longer than a smoker – and that’s not all. Think about how much better those later years will be when you don’t have cigarettes siphoning away your retirement savings. Think about how much more active your twilight years will be if you’re not suffering from heart and lung disease. There is no New Year’s resolution more worthwhile – or more likely to bring about tangible, long-term change in your life – than quitting smoking. The challenge, of course, is actually doing it. In this article, we’re going to show you how a beginner’s vape kit can be the perfect tool to help make your resolution successful. When you vape, you use an e-cigarette or similar device to heat a flavoured, nicotine-infused liquid called e-liquid until it turns to vapour. You inhale the vapour as if it were smoke, and you absorb the nicotine through your lungs. Most people find that vaping costs significantly less than smoking. Vaping doesn’t make your hair, clothes, home and car smell bad. Most importantly, medical experts believe that vaping is up to 95 percent safer than smoking. How Vaping is Different to Other Smoking Replacement Methods? Like vaping, nicotine products such as patches, gums and lozenges replace the nicotine that you would get from smoking. If you’ve tried those products, though, you know that nicotine replacement isn’t a very satisfying way to quit smoking. Your body still gets the nicotine, but your lungs and throat continue to crave the physical sensation of smoking. You’ll still feel irritable, and you’ll still crave cigarettes. That’s why the success rate among those who try to quit smoking with traditional nicotine replacement products is only about 15 percent. Vaping doesn’t just replace the nicotine that you get from smoking; it also replaces the physical sensation that you enjoy when you inhale nicotine into your lungs. Vaping isn’t the same as smoking, but you’ll find that it feels very similar. Vaping also replaces the hand-to-mouth ritual of smoking. One of the things that makes quitting difficult for many people is that, without reaching for a pack of cigarettes and a lighter, they’re no longer sure what to do with their hands. Many people find that those features make vaping a far better aid for smoking cessation than anything else. If you want to keep your New Year’s resolution and quit smoking successfully, you need to go in with realistic expectations. We’ve already explained what vaping is: It’s a replacement for the physical sensations, the rituals and the nicotine of smoking. No other smoking cessation aid has those same features. Next, let’s learn about what vaping isn’t. Vaping doesn’t replace the flavour of tobacco smoke because e-liquid contains no tobacco and doesn’t burn. Although you’ll find many e-liquids that approximate the flavour of tobacco, there’s nothing that can replace the flavour of smoke. The other side of that equation, though, is that no tobacco cigarette can replace the infinite variety of flavour combinations possible with e-liquid. A cigarette can’t taste like a bowl of cereal, a cup of coffee, an ice cream cone or a fruity hard candy. You can experience all of those flavours – and many, many more – when you vape. The other key way in which vaping differs from smoking is that vaping only delivers the nicotine of smoking; it doesn’t replace the thousands of other known chemicals in cigarette smoke. Even though you’ll still get the nicotine when you switch to vaping, it may be a couple of days before you feel entirely normal as your body rids itself of the other chemicals you consume when you smoke. Since you’ll still enjoy the sensations and rituals of smoking, though, you’ll probably feel better than you would with other forms of nicotine replacement. Best Vape Kit to Quit Smoking! Here at OK Vape, we’re so impressed by the Vaptio C-Flat Pod Mod that we can’t help but declare it the best vape kit to quit smoking. The refillable pod system allows you to use any e-liquid you like, and the simple one-button control scheme means that using the device is just as easy as smoking. If you’re looking for a tiny vaping device that works for as long as possible on a single battery charge, you’ll love the 650 mAh battery of the Vaptio Spin It Pod Mod. Like the Vaptio C-Flat Pod Mod, the Spin It has a single-button control scheme that you’ll love if you’re new to vaping and looking for simplicity. 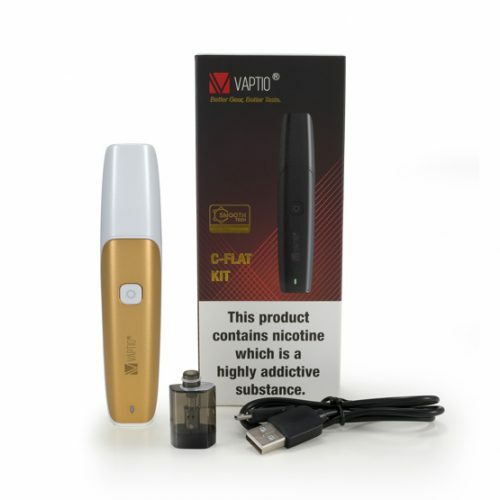 Cheapest Vape Kit for Quitting Smoking! 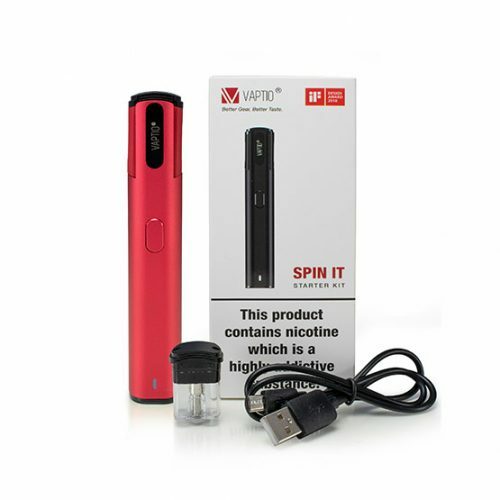 If you’re looking for the cheapest way to switch from smoking to vaping, you’ve found it right here. With the OK Cigalike E-Cig Starter Kit, you can start on the road toward keeping your New Year’s resolution for just £6.00. 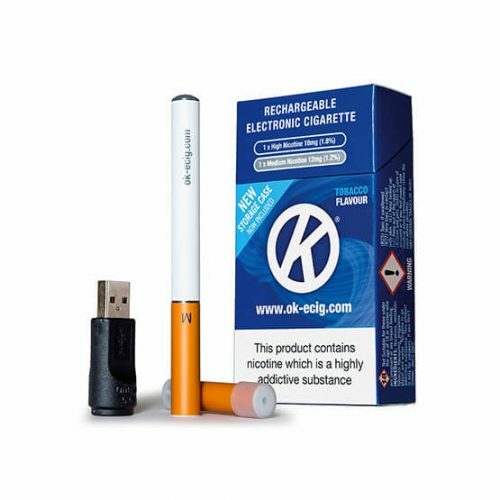 Although the OK Cigalike isn’t compatible with our newer NicSalt technology, it has several features that make it a compelling vape kit for quitting smoking. The first feature of the OK Cigalike is the familiar form factor. It looks like a cigarette. You can hold it between two fingers – or even let it hang from your lips – as you would a real cigarette. For some people, replacing those aspects of smoking is an important part of quitting successfully. The OK Cigalike has no activation button. The Innokin Endura T18E is ever so slightly more complex to use than the two pod-based devices described above because the tank isn’t disposable – instead, you’ll replace only the atomizer coils – but the benefit of the traditional vape pen design is that the replacement coils are less expensive to purchase than replacement pods. 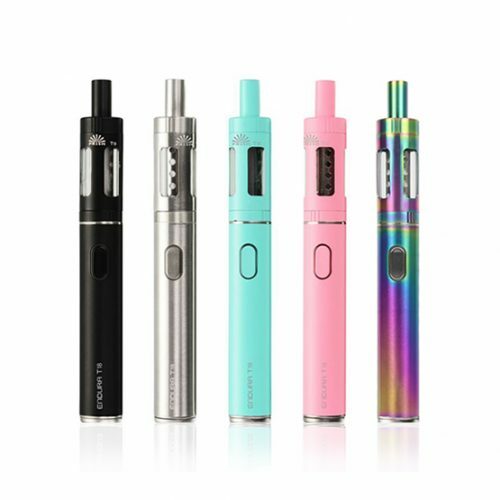 The vape pen design also gives you an improved battery capacity of 1,000 mAh. When you use the Innokin Endura T18E, you’ll love the fact that the tank’s wide top opening makes filling extremely easy. Just twist off the tank’s top hardware and dump in your e-liquid. We recommend using the Innokin Endura T18E with our NicSalt e-liquids if you’re a recent convert from smoking, but this device also works well with our Classic e-liquids. If you’re a smoker, there is no better way to make 2019 great than by quitting smoking – and we’re excited for the opportunity to be your partner in that journey. Do you need help getting started? Get help in the vape information section of our website – and don’t hesitate to reach out to us if we can provide further assistance. Quitting smoking is never easy. When you try vaping, though, we think you’ll fall in love with the incredible variety of e-liquid flavours out there for you to experience. More importantly, you’ll love the way you feel. The extra money in your pocket also won’t hurt! « Low Strength Cigalike E-Cig Refills Now Available!